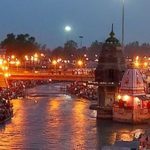 Revered as two of the four dhams, Kedarnath and Badrinath are extremely popular with tourits seeking spiritual salvation. Kedarnath is believed to be the holiest of Shiva’s shrine in the Himalayas. 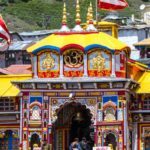 Badrinath is one of thw 108 shrines of Vaishnavites and houses within it several idols, the most important being the one meter tall statue of Vishnu made of black stone. 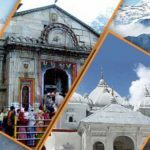 Distinguished as two of the four dhams, Kedarnath and Badrinath are extremely popular with touring in search of spiritual salvation. Kedarnath is considered to be the most sacred place of Shiva’s holy place in the Himalayas. Badrinath is one of the 108 temples of Vaishnavites and there are many sculptures in it, most importantly, Vishnu, made of black stone of a meter high statue. 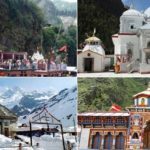 We have some of the other do Dham yatra packages covering Yamunotri or Gangotri, Kedarnath or Badrinath these shrines can be visited in this order only it have their myths and everyone follows this. 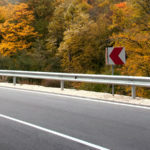 So it can be same done by nearby location which is easy to access for you we have Do Dham packages where you can choose it we will customize it with quality service we assure for this to you.